Not going to lie, I feel like Santa right now and I am SO excited about this beauty junkie gift guide. If you, or someone you know, is a total beauty junkie then you’ll love this post! Every year my favourite beauty brands seem to be upping the ante with their holiday products. Let me show you some of my favourites! 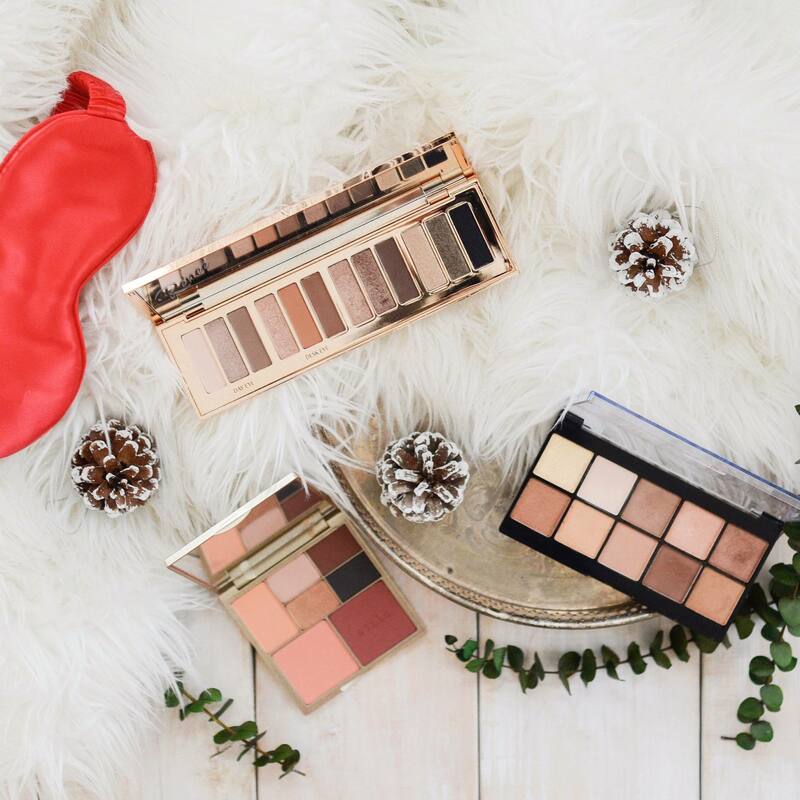 Up above you’ll find three of my favourite palettes to use over the holidays. Charlotte Tilbury has the most beautiful packaging (clearly) and the shades in this instant eye palette are to die for! Next up is the Stila Palette that’s perfect for keeping in your bag for touch ups. The bronzy shades are gorgeous on any eye colour and theres all a pop of colour for your cheeks – great for on the go. Lastly, I love this palette from NYX. It’s my “go to” for every day and creates a gorgeous bronzy shimmer on the eye. Have you tried any of these? I’m sure they’d be a hit for any beauty addict on your list! Quo is one of my favourite brands straight out of Shoppers drug mart! My favourite items from them right now are their brush sets (great quality, not to mention very affordable), the ladies manicure kit and their lip gloss bar/liquid lipsticks. 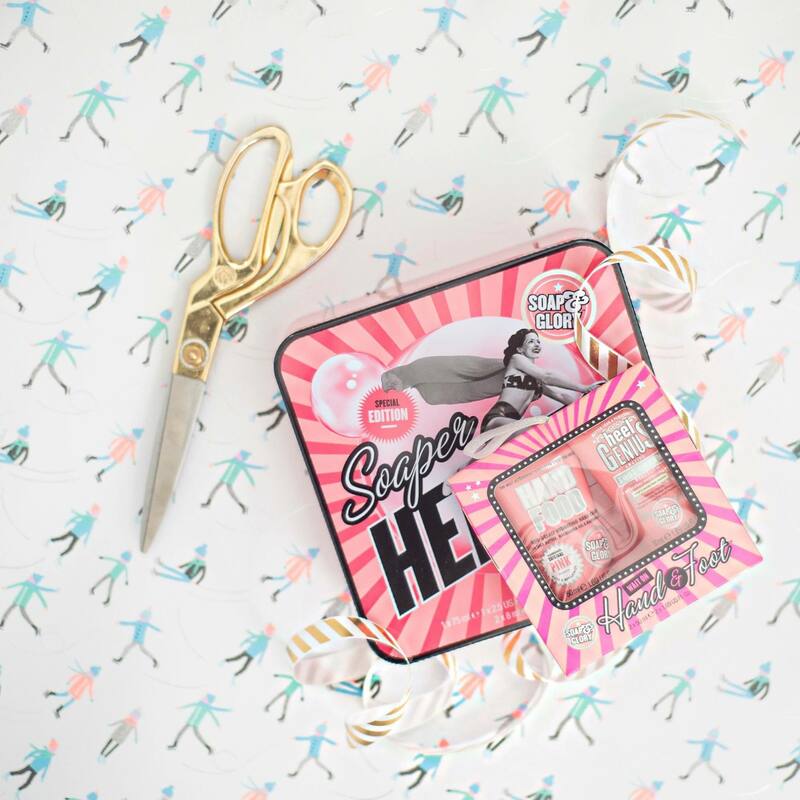 I can’t tell you how many times I’ve needed a manicure kit on the go…it’s compact and can easily be thrown in your car or bag. So handy! The liquid lipsticks and gloss from Quo are also great, these sets would be perfect stocking stuffers! “Oh I don’t need a day at the spa” said no mom ever! Miraj Hammam spa is one of the best in Toronto, trust me when I say…you CANNOT go wrong with this gift! They have so many services to choose from and they are sure to keep any lady relaxed over the holidays. Next up is Soap and Glory. You can find this beautiful package and others at Shoppers Drugmart. They keep your dry winter skin at bay and they also smell glorious. See what I did there 😉 Their packaging is also really fun so any beauty junkie would be happy to be on the receiving end of this one. If you’re looking for the perfect beauty gift this season I think Sephora is the obvious choice for shopping. They carry so many great brands and have great gift sets and stocking stuffers this season. 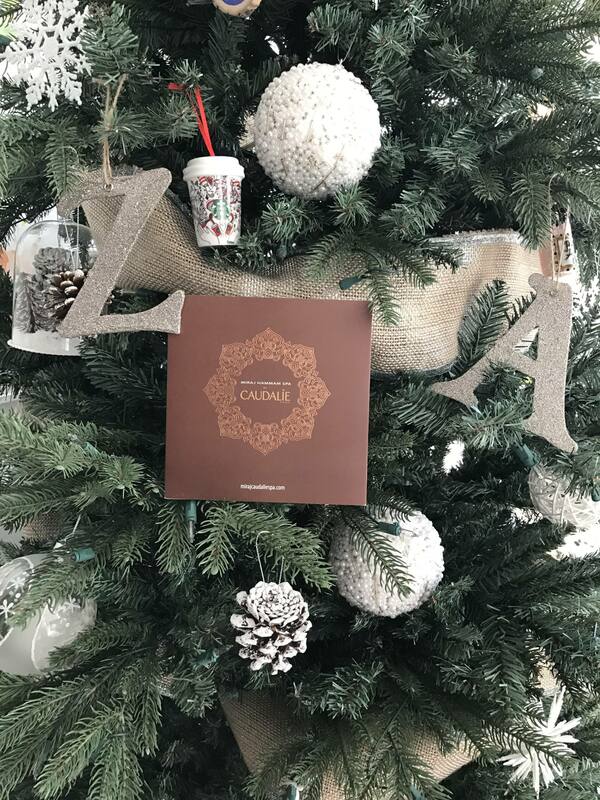 While the advent is sold out, I love the idea of gifting the eyelash case, beauty blender ornament and mini lip kit. 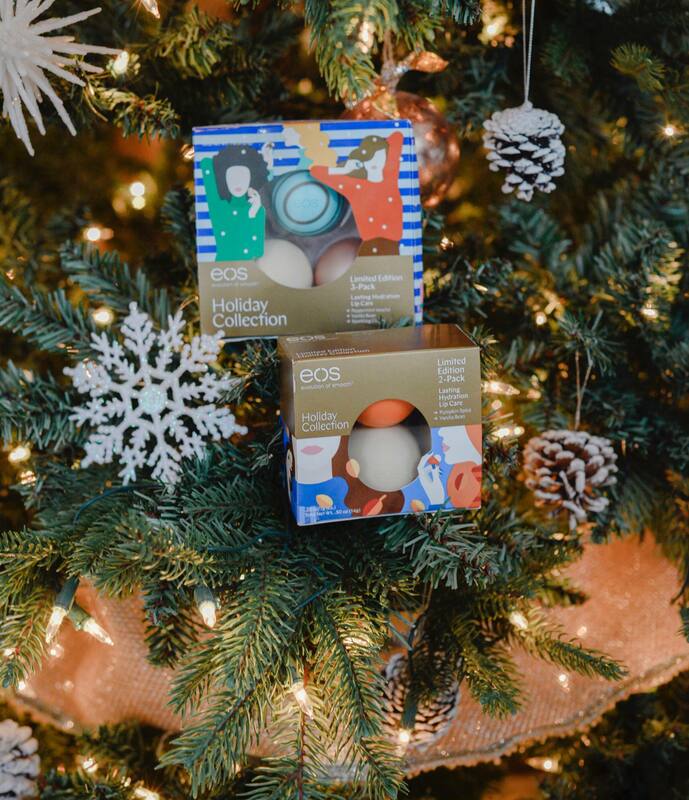 They make for adorable stocking stuffers! Finally, we have EOS. They are my “go to” lip balm” because they are incredibly hydrating and come in a wide variety of flavours. Also – a complete sucker for their packaging. Their holiday collection are a MUST, check out the flavours and you’ll understand why! Pumpkin Spice…Vanilla Bean…What’s not to love?! I hope you found this gift guide helpful! I promise, if you have someone on your list that loves beauty product they’d be happy with any of these. Now…for the best part…ARE YOU EXCITED?! Comment who you’d love to gift this to! Omg!!!!!! I would love to gift this to my mom!!!!! What an amazing giveaway!!!! I’d gift this to my girlfriend for her birthday! I would give this to my sister – she loves playing with makeup! Am I EXCITED? IS THE POPE CATHOLIC? Ha ha ha ha. I’d love to gift this to my friend Kirsten. She’d be thrilled!!! This is amazing!!! Thank you so much for the chance, just looking at the pics gets me all warm and fuzzy! I’m already suscribed and have been following your Facebook page for some time now. Oh this would be wonderful to give to my teenage daughter. She loves make up and glamour. This year has been kind of tough for her and it would boost her spirits. Being a teenager is hard especially when you struggle with your self worth. I have three teenage daughters (13, 14, and 16) – so this would go to them! I would just love to give this gift to my sister in law. I would gift this to my sister in law! My niece would love this. She’s in university and doesn’t have the budget to pamper herself. I would give this gift to my best friend. I would love to give this gift to my daughter. Happy Holidays! I’d gift this to my sister. She would go crazy! Liked on facebook as Lara Logan. I would love to give this to an amazing volunteer advocate named Debbie who gives tirelessly of herself to those in need. A wonderful giveaway, thank you. Would be a warm gift for my mom. I would like to gift this to my teenage niece. Thank you. I would gift this to my sister. She would probably faint! She’s a single mom to three kids and looooves makeup! I was just eying some of these advent calendars to gift to her the other day, but my budget isn’t friendly! Thanks for en chance! Happy holidays to you! I liked on FB and subscribed to your newsletter! I would love to give this to my wonderful sister <3 Merry Christmas! I would love to win this to give it to my daughter that does so very much for me. Already a subscriber, liker of your Facebook and Instagram! And i would love this for myself! Omg i love everything you chose! but i would share with my mom and sister! I would love to gift this to my daughter-in-law! My mother!!! She would LOVE all of this!! Thank you!! I would share it between my daughter and I – both our makeup bags could do with an upgrade. I’d gift this to my Dad’s girlfriend. She deserves some pampering. I would love to gift this to my little sister who is a mother of 2 small boys and always on the go and doesn’t get to pamper herself … she would love this!! I’d give this to my friends!!! I would love to gift myself. I would love to gift this to my sister! She would love this! My daughter would love this.So I would gift it to her. I would gift this to my daughter and friends! I would gift some of it to my daughter and some to my mother. I would love to gift this to my sister! She always gives us such wonderful gifts and these items are definitely things she would love! Liked and subscribed – I would love to share this with my sister-in-law! I would gift this to my mom! Thanks for the chance! I would give this amazing gift to my sister. Awesome! My sister would love all these goodies! Wow such an amazing prize pack! I’d love to win this for my best friend of many years, she would be so thrilled. Did I mention how great she is at sharing…. Thank you!! Well I would give part of it to my godchild and keep some for myself, that’s fair right. Subscribed and follow on Facebook. I would Love to gift this to my sister! I would love to give this to a very unselfish friend who has been there for me in the past year. I would give this gift to my sister-in-law! (I’ve liked your Page on FB and subscribed). I would love to give this to my best friend. I would 100 percent love to give this to my daughter. She would be ecstatic.